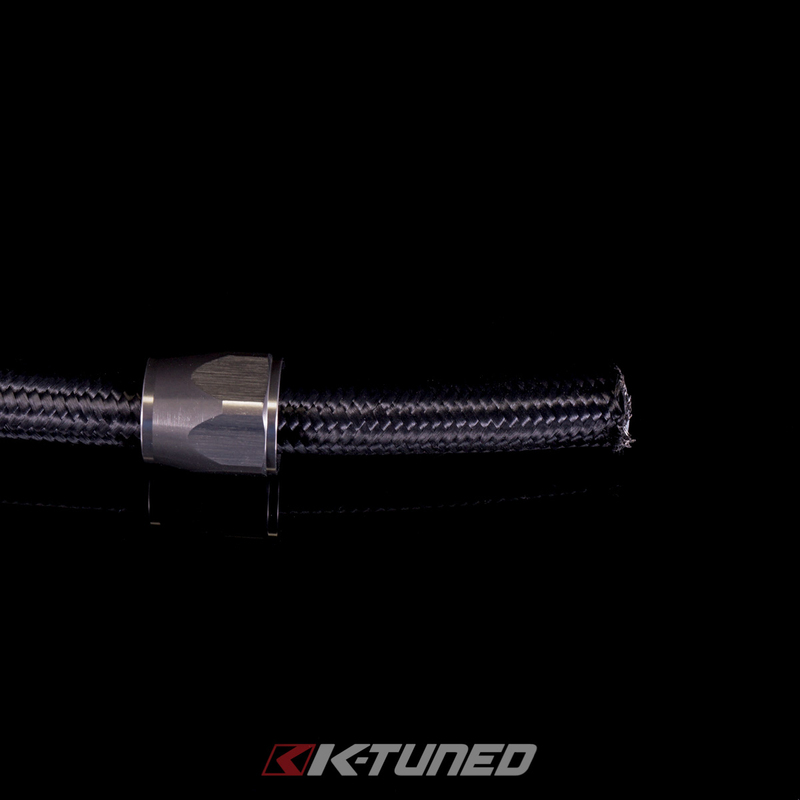 Applications: Used with our High Pressure PTFE Black Braided Hose. 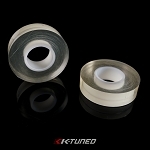 Available in 4AN to 10AN sizes. 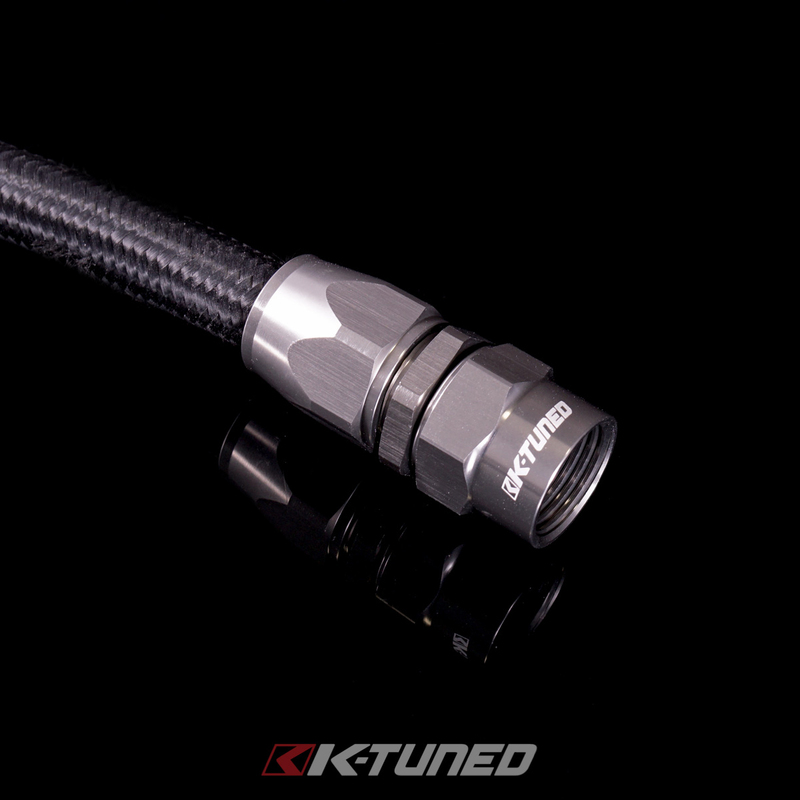 K-Tuned High Pressure Hose Ends were developed for use with our High Pressure PTFE Black Braided Hose. 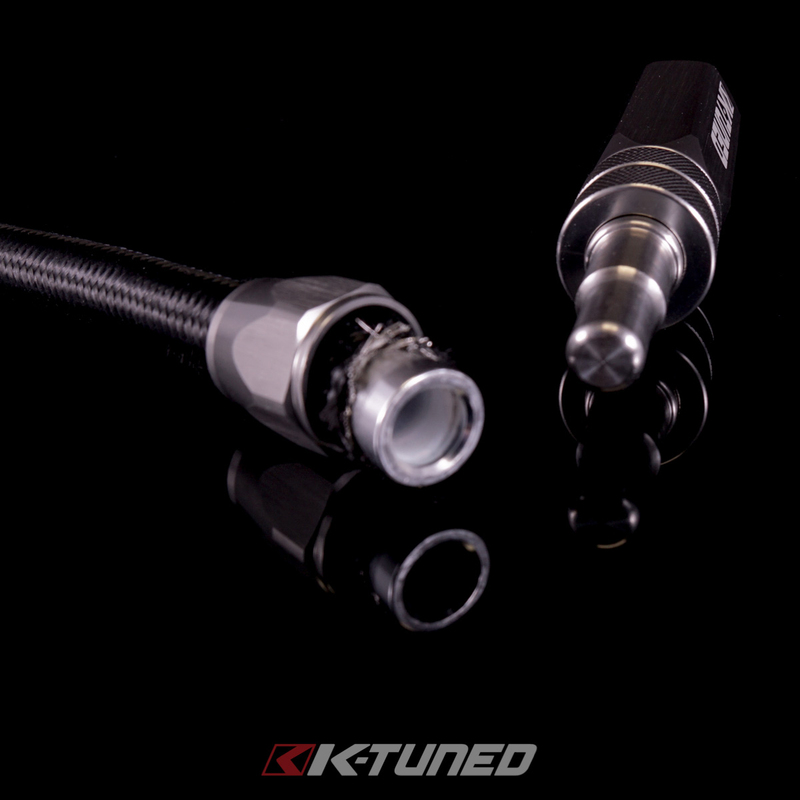 The unique high flow design allows for increased flow capacity when compared to conventional crimped hose ends. 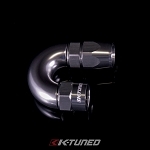 Our fittings are made from 6061 aluminium and have been hard anodized for compatibility with several different race fuels including E85, E10 and methanol. 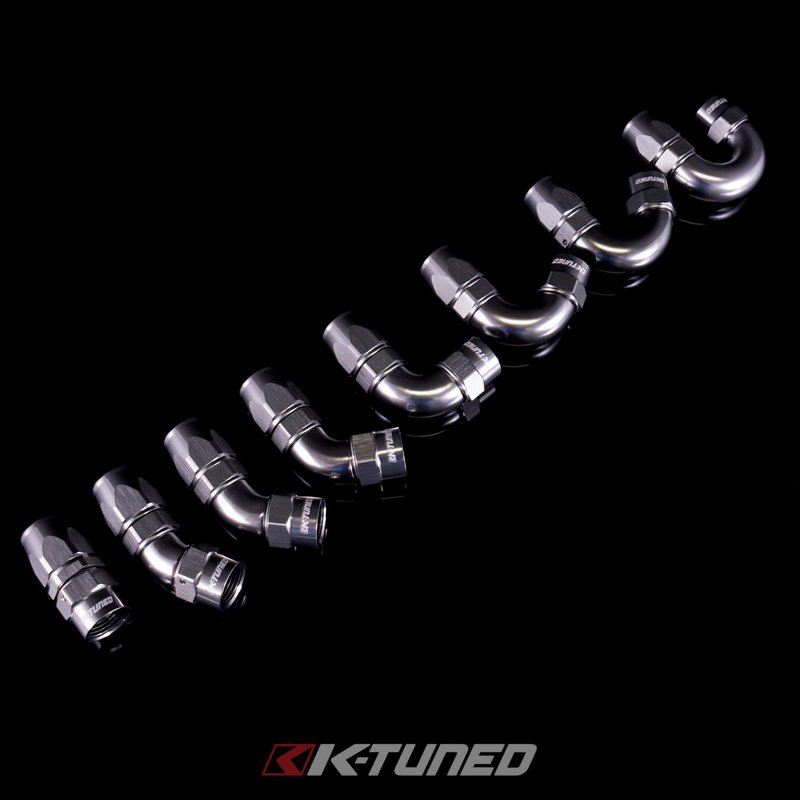 Note that these fittings also work fine with oils, other lubricants and engine coolant. 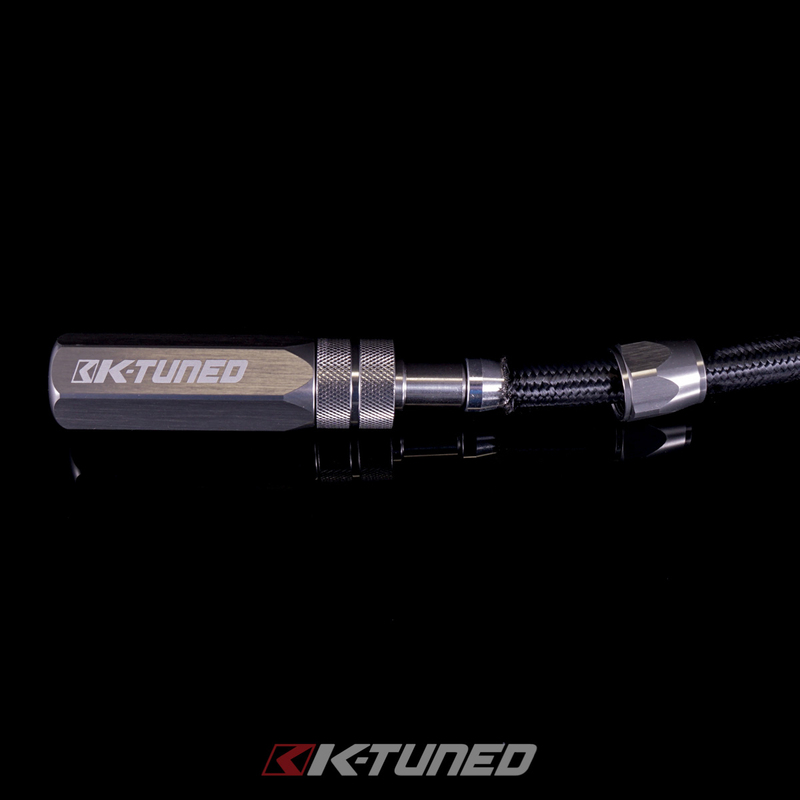 The titanium grey hard anodized finish matches up very well with our Kevlar HP Hose. 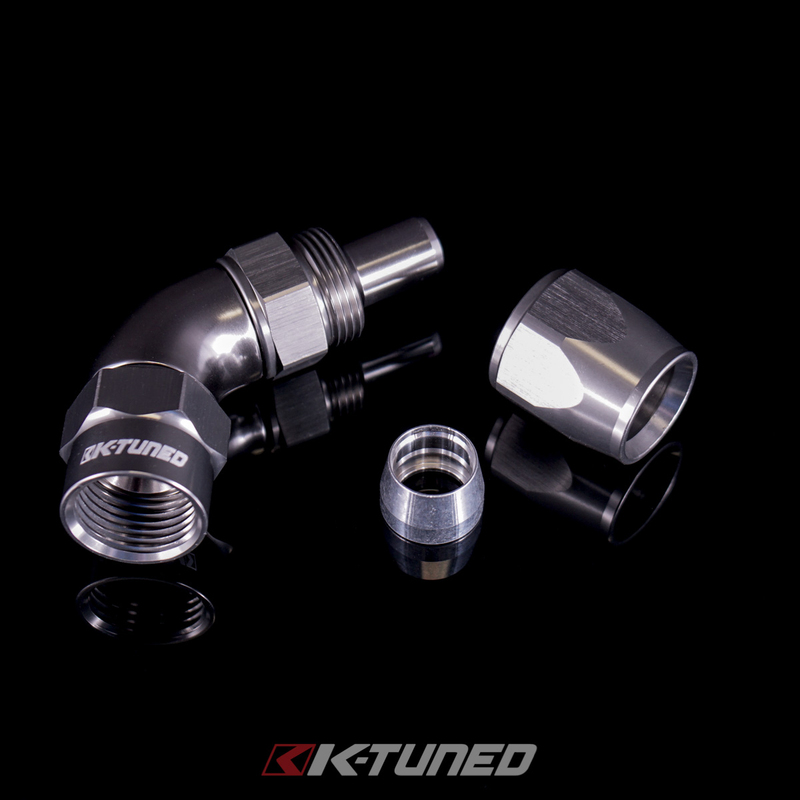 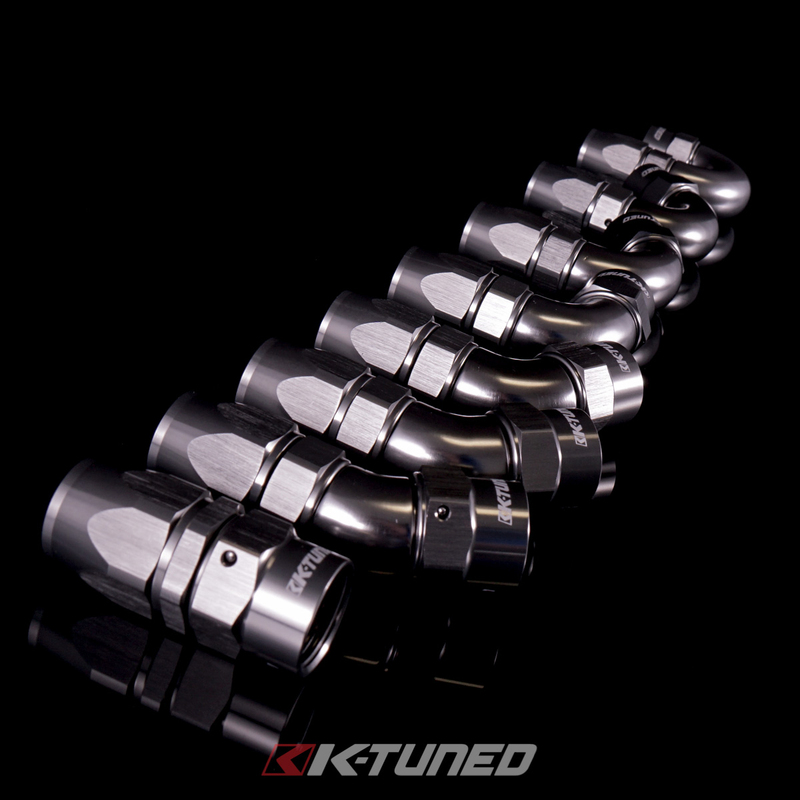 Please note that our K-Tuned HP Fittings must be used with our HP Teflon Hose to ensure proper fitment and seal. 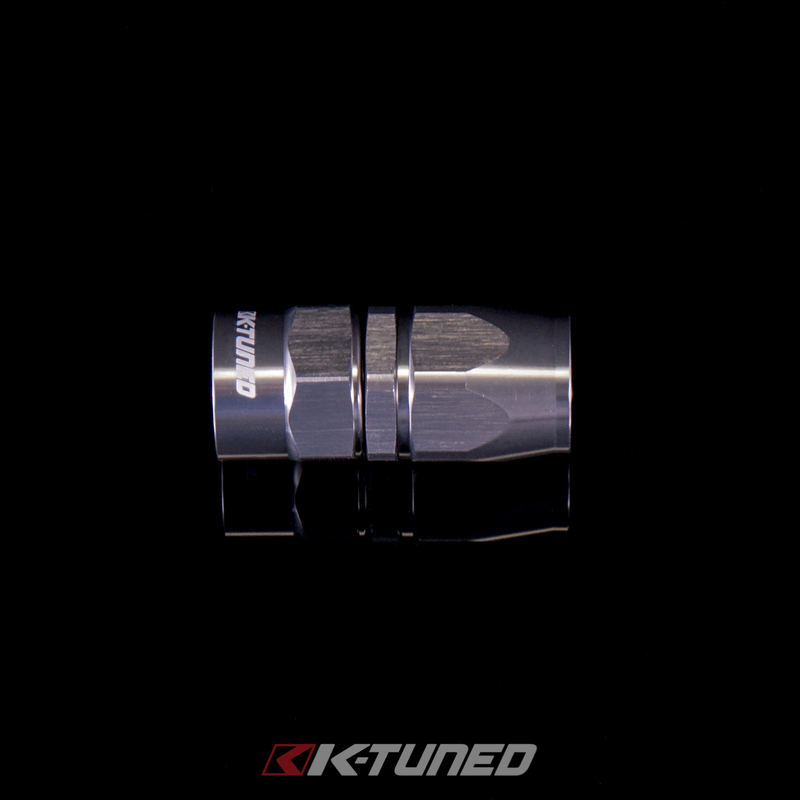 An Assembly Tool is available to make for an easier installation. 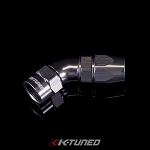 We do have matching (color) non-high pressure fittings available in 12AN and 16AN.